Seductive just enough to allure the observer into their bleak essence, the works created by a Canadian artist Sandra Chevrier compose an ode to female struggle with oppression and superficiality. Her latest body of work is entitled Les Cages: A Fractured Gaze and it continues the narrative this self-taught and wonderfully talented artist commenced in thematically adjacent earlier series. 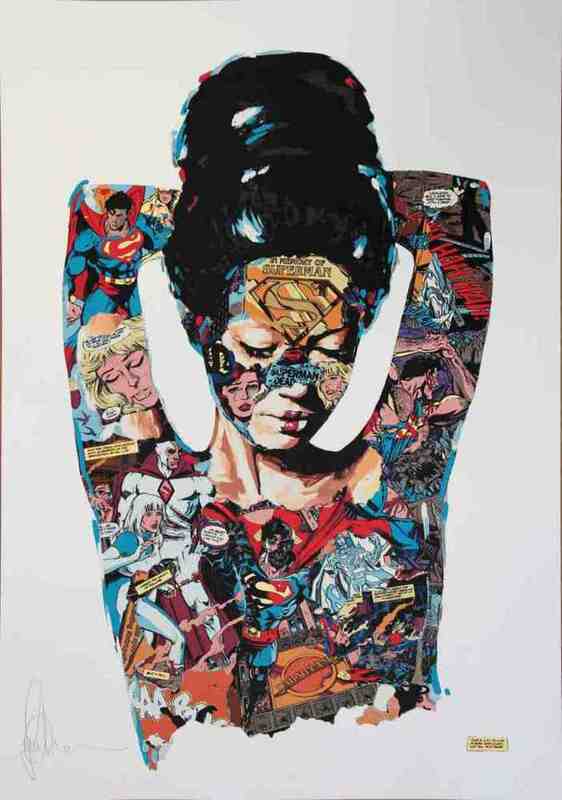 MIRUS Gallery in San Francisco announced the exhibition of the same title, presenting Sandra Chevrier’s beautiful, but grim vision of feminine position. The show will present all new works on paper and canvas, opening on April 5 and running through May 10, 2014. 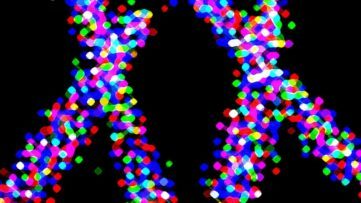 Les Cages will be the first presentation of this artist at MIRUS Gallery. The initial attraction spectator experiences towards the sleek and tactile women, dressed in seemingly fun, joyful comic patchwork is deliberate and meant only to drag one into the inner story of the work. Approaching the works with caution, not believing they are indeed heavy in essence, reveals the truth behind them in steps. 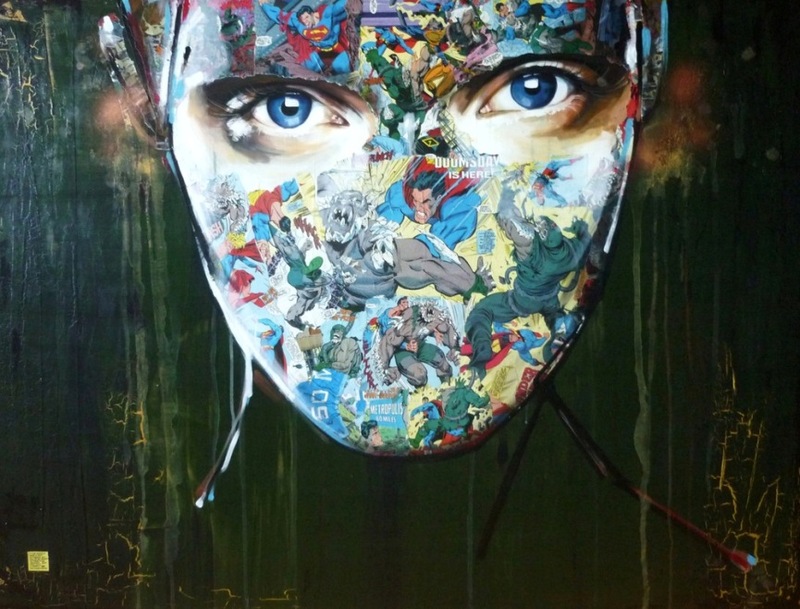 It soon becomes obvious the women of Sandra Chevrier’s paintings are covered with iconic images of superheroes, while their own identity is hidden, unreadable and diminished. The collaged comics covering the sensuous bodies or faces of her models symbolize cages the society puts women in, expecting them to fulfil a certain role with utter disregard for their personalities. The skin of the heroines is covered, distorted in a way, just as is their natural persona under the cultural pressure, as well as the contemporary idea of beauty. The naivety of collaged comics is a reference to pop-art and depersonalization of the image, but of its enticing visual character as well. The erratic arrangement of the comic excerpts and their selection are completely random, but this trait of the artist’s creative process only enhances the absurdity of the pressure women go through today, while purposefully putting an emphasis on the irony of celebrity sham and the shallowness of fake ideals and aspirations. Her women are given a specific texture through collaged elements or thick layers of paint, making them emerge from the vague backdrop of her artwork. They play within their world, assuming the imaginary role of superheroes, while they permeate our visual and mental reality. 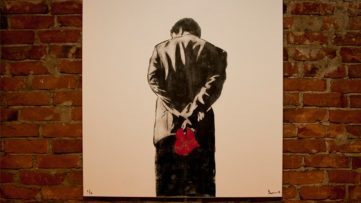 This Canadian artist is dedicated to exploring her artistic and conceptual ideas to their fullest, by investigating them consecutively until there is nothing left to delve into. Her obsessions are filled with pondering on emotions and generally accepted standards of contemporary society and its communicative traits. 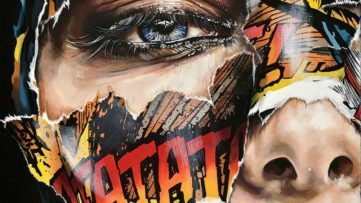 Sandra Chevrier uncovers the boundaries of the world we live in, the self-inflicted goal that make us miserable and the cases we are captured in that keep us from enjoying life freely. She exhibited in her native country and internationally, in USA, UK and other European countries, and in Asia. 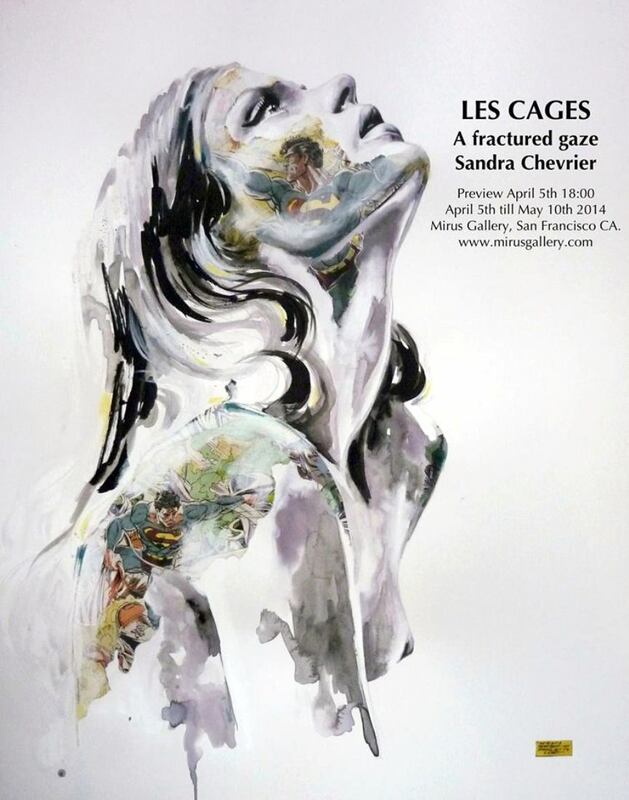 Her Cages series appeals to numerous collectors across the globe, as it extends through diverse media, from drawing and collage, to painting and prints. 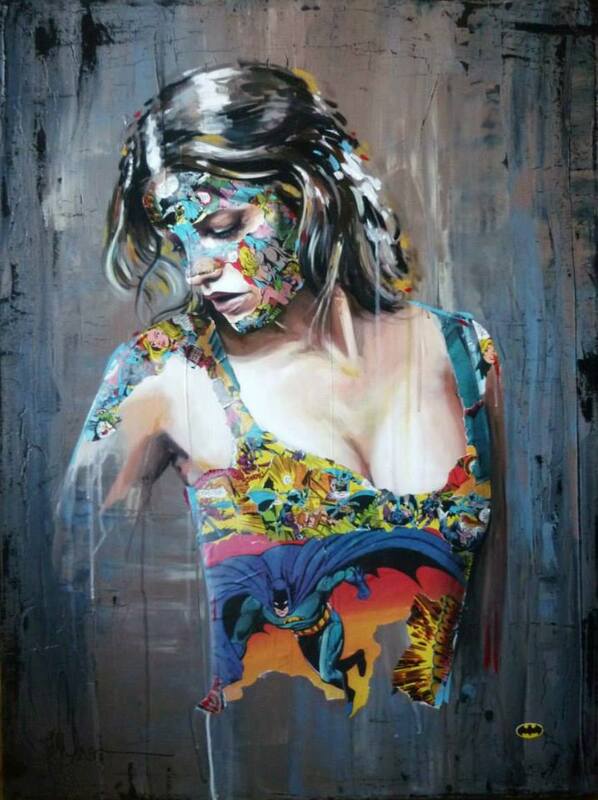 Sandra Chevrier lives and works in Montreal, Canada.